Preheat oven to 180 C / 350F / Gas 4. Grease an 8" round cake tin. Beat the butter and sugar together in a bowl until pale and creamy. Add the eggs one by one, beat well after each addition. Add the lemon rind and lemon juice. Add the flour, gently fold with a spatula or beat on low speed until smooth. Transfer batter to prepared tin and level the top with a spoon. Bake for 25 - 30 minutes until well risen and golden brown. Meanwhile, combine sugar and lemon juice in a saucepan. Cook over low heat until sugar dissolves. Prick top of warm cake with a skewer or fork, spoon syrup over cake. Set aside until it has been completely absorbed. Cut cake into wedges and serve. Wow summer have arrived with a luscious lemony cake. Wow! Love how the cake looks super-moist! Love lemon aroma in cakes... Yum! can feel the lemony flavor ...super yummy moist cake..
it looks so soft and irresistible dear..
Cake looks just perfect..soft and moist! 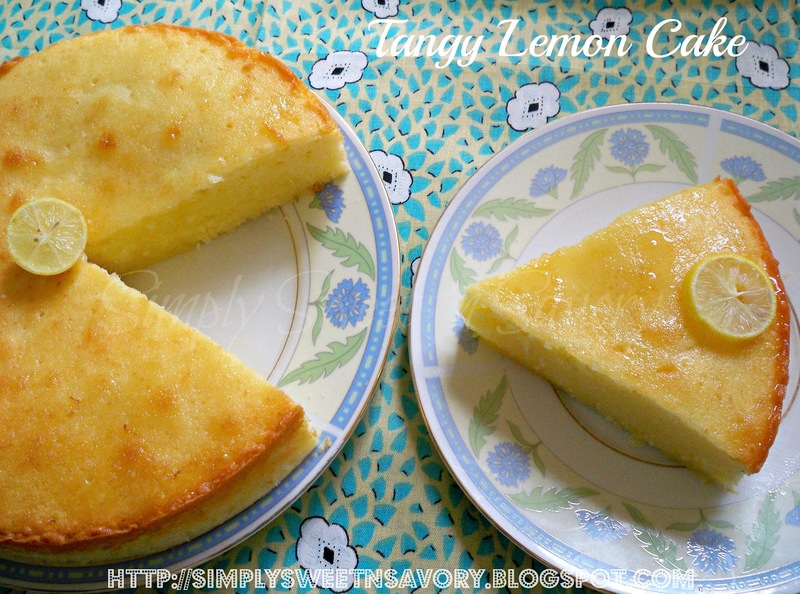 Ooo I can feel my mouth watering with the moment I read lemon.Really feel like eating a big slice. It looks very fluffy and with the syrup must be very moist! Wow Ambreen cake looks so tempting, luv the moist and soft look. Your cake looks and sounds so delicious! I love how moist it looks! Super soft and perfectly baked cake !! I'm visiting you today from This Silly Girls Life. I hope you get a chance to stop by my blog and leave a comment, too! Lemon cake is alway my fav one. it looks so soft and moist.. yummy!! 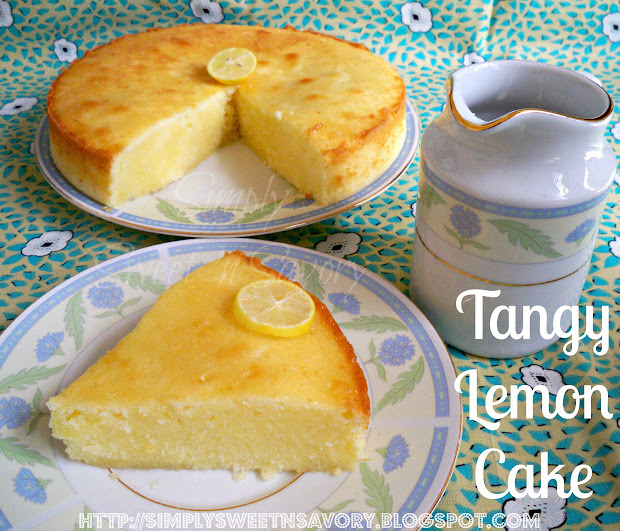 i love lemons, and especially lemon cakes! this has turned out really moist and delicious! I love lemon cake, you've made me crave it now! 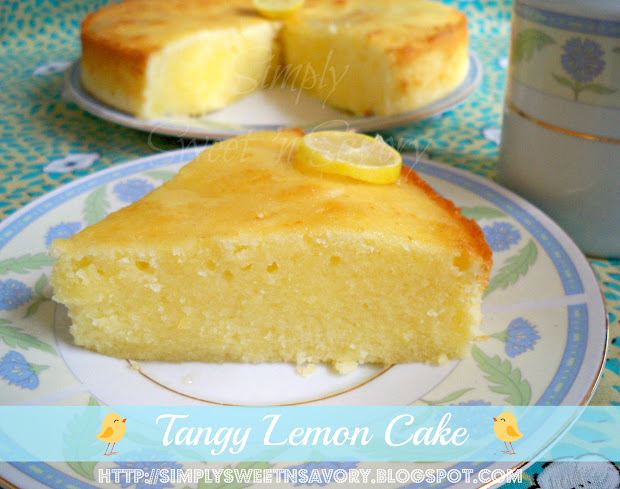 Delicious looking lemon cake...the texture looks beautiful. It is my daughter's and my favourite. I've recently gotten into baking and am always looking for new recipes to try. Thanks for sharing! I can almost taste this beautiful cake. Thank you so much for sharing this awesome recipe with Full Plate Thursday. Hope you have a very special Mothers Day Weekend and come back soon! Your cake looks so delicious. I am a new follower. Saw your recipe on Weekend re-treat. Have a wonderful weekend. Looks yummy!! Thank you for participating at SHOW-licious Craft Showcase!! Thanks for linking up Tasteful Tuesdays at Nap-Time Creations. You are being featured this weekend. I'm getting the post ready early because we are going camping :o) Come on over on Saturday and check it out. I would LOVE for you to put my featured button in this post or on a featured page... Thanks SO much! Congratulations! You've been featured at SHOW-Licious Craft Showcase this week!! Thank you so much as always, for participating! Oh my goodness does this look delicious. I love that this cake is so simple yet beautiful and who doesn't LOVE lemon?! Can't wait to try this recipe. Pinned so I don't forget, lol! Thanks so much for sharing at Tasty Creations link party. Have a great weekend.